The Czech Republic operation of global professional services company PricewaterhouseCoopers (PwC) has recently moved to a brand new, ecologically advanced headquarters in Prague. Its comprehensive meeting and conference facilities required a matrixed audio system that could reliably accommodate any requirement, meaning a Yamaha digital solution was the ideal choice. The eight-storey City Green Court is the first building in the Czech Republic to receive Platinum certification by Leadership in Energy and Environmental Design (LEED), an international certification system for green buildings developed by the US Green Building Council. It includes a 2000m2 conference centre for use by PwC, its business partners and clients, which is also available to rent by other organisations for events ranging from large social functions to club gatherings, training, seminars and private meetings. The conference centre includes 18 rooms, expandable to 23 by the use of moving walls. Featuring full A/V networking throughout, the technical equipment was specified and installed by Prague-based Panter spol. r.o. It includes four DME64N digital mixing engines with two CP4SF wall-mounted control panels, two LS9-32 digital mixing consoles, one MLA8 eight channel mic/line amplifier, 20 MY-16AT ADAT interface cards and one DUGAN-MY16 automated mic mixing controller card. 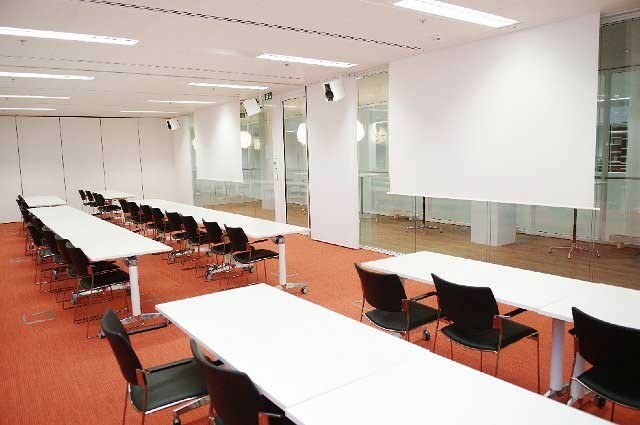 "The conference facilities are designed for a wide range of uses. We needed a versatile audio matrix system which had a high number of inputs, accommodating many different types of source, and many outputs. It also had to be able to route audio from any source or combination of sources to any output. The DME64N met all of these requirements and had the advantage of needing no additional switching matrices," says Michal Dolezilek, audio and video administrator for PwC at City Green Court. The two LS9s are permanently installed in two control rooms and are used for bigger conferences and major webcasts. Again, the flexibility of the system means audio can be routed from any inputs throughout the conference facilities to the consoles and the mix sent to any loudspeakers, online or to broadcast facilities. "The system allows any seminar or event needing sound reinforcement, video or audio to be catered for automatically, without the need for specialist operators. It is very reliable, maintenance-free and has excellent sound quality," Michal concludes.